As part of DIFC Courts’s mandate to increase accessibility to justice, Practice Direction No. 2 of 2017 on Third Party Funding was introduced in March 2017, providing the structure by which ‘funded parties’ and their lawyers engage transparently in proceedings in the DIFC Courts. 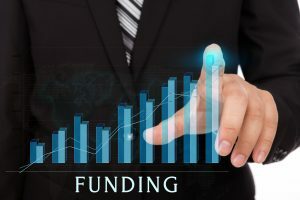 Third Party Funding is an arrangement between a specialist funding company and a client (typically the claimant in the litigation), whereby the funder will agree to finance some or all of the client’s legal fees in exchange for a share of the ‘case proceeds’ (usually the recovered damages). Steven Hunt, Partner, Construction & Infrastructure, DWF (Middle East) said: “The introduction of third party funding in the DIFC Courts has been seen as a positive development. It can provide better access to justice and serves to level the playing field so that a case isn’t won simply because one side has more money”. Traditionally utilised by commercial courts in the UK, Europe and Australia, this instrument is now driving the steady rise of a new legal finance market. Singapore and Hong Kong’s expanding third party market – especially for funding for arbitration – has contributed to the growing acceptance across Asian markets as well. The new Practice Direction is supported by Amendments to the Academy of Law’s Mandatory and Supplementary Code of Conduct for Legal Practitioners in the DIFC Courts, outlining the duties owed to the client by a third party funded practitioner, and regulating conflicts of interest and of control of litigation/settlement of dispute. These changes address the most common concerns, such as ensuring that clients are not unduly influenced by funders or funded law firms. Third party finance is not only a lifeline for disadvantaged claimants, it also offers a way for corporates to finance litigation and arbitration off-balance sheet, as a more efficient way to manage legal costs. Independent research released by Burford’s 2017 Litigation Finance Survey shows that litigation finance continues to achieve dramatic growth and is now an accepted reality of the legal landscape. Of those polled whose organisations have not yet used litigation finance, a majority of law firm respondents (57%) and nearly half of in-house respondents (49%) stated that they are likely to consider using third party funding in the next two years.